Security is hard. The advice is to "Not Roll Your Own". Last post we talked about the concepts involved in the Implicit Flow. This part is all about The Code! The "About" part, describing all moving parts and processes. In the previous part we discussed the OAuth2 Implicit Flow. But code is a more efficient way of communicating, don't you think? So let's get to it! If you're here just for the code: no problem! 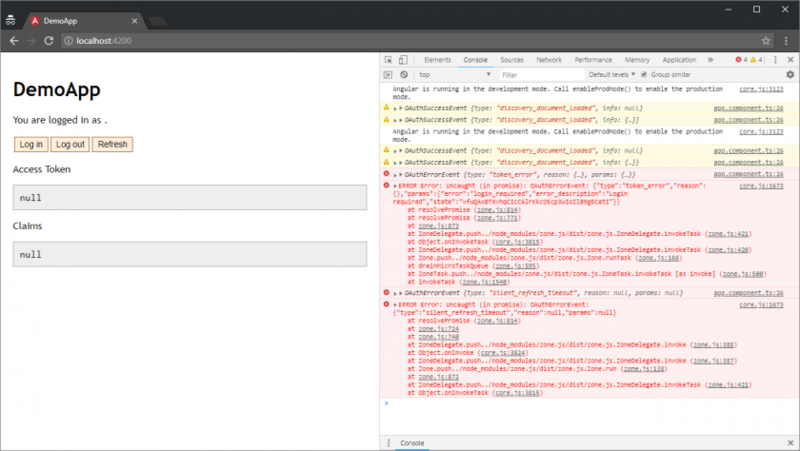 To get a full example of how the client side library is supposed to work, you should check out the sample-angular-oauth2-oidc-with-auth-guards repository, which has a production-worthy example of how to use the library. It would need to be reconfigured to use Auth0 however. So if you want to see a minimal example of how to use it with Auth0, check out this post's companion repository. But nothing beats building it yourself. So here we go. 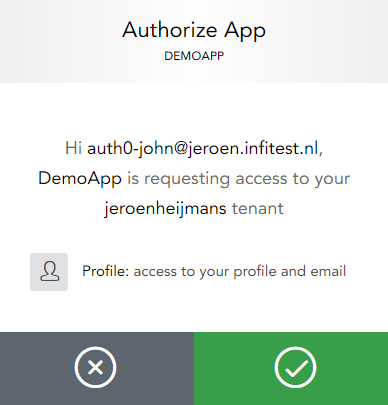 In addition you will need an Auth0 account. You can create one now, or when we get to that part. Some things we'll get back to once we have our Auth0 account set up. Let's investigate what's being changed, top to bottom. First, the token and claims properties now forward to the OAuthService. They're just for debugging purposes. Next, the constructor gets some good 'ole console debugging to assist while coding. It also has a "promise chain", starting with the loading of the discovery document (you could also manually enter your ID Server's config in the app, to win a bit of loading speed). This chain continues to do tryLogin, which inspects the browser URL to see if the hash fragment contains tokens (after a redirect back by Auth0). This will also clear the hash fragment. In typical production apps, this "chain" will be much longer. I would suggest adding an attempt to do a "Silent Refresh" to see if you can log in that way. And there are many other niceties too. Check out this example repository to see what such a chain would look like. For now, we'll stick with this simple setup. Finally, in the app.component, there are three methods that are just proxies for OAuthService methods. When a silent refresh is needed (requested, or on a timer), a hidden iframe is created. That iframe is directed to Auth0, passing along (a) an instruction that no user interaction is possible, and (b) the URL of the silent-refresh.html file for redirecting the user back. 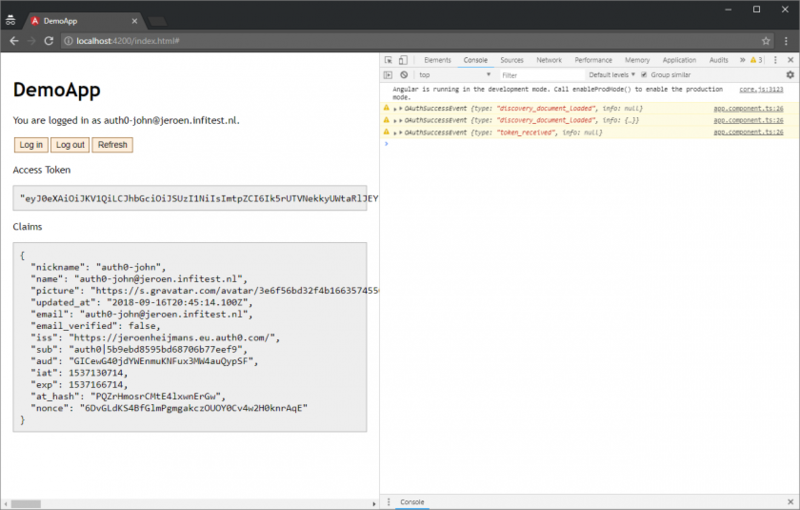 The ID Server will redirect that iframe back to the silent-refresh URL, using the hash fragment to indicate failure to log in, or otherwise passes along an access token. The html above loads in the iframe, and communicates to its parent (your app!) what was passed along in the hash fragment. Important: you have to restart ng serve for this change to be picked up! 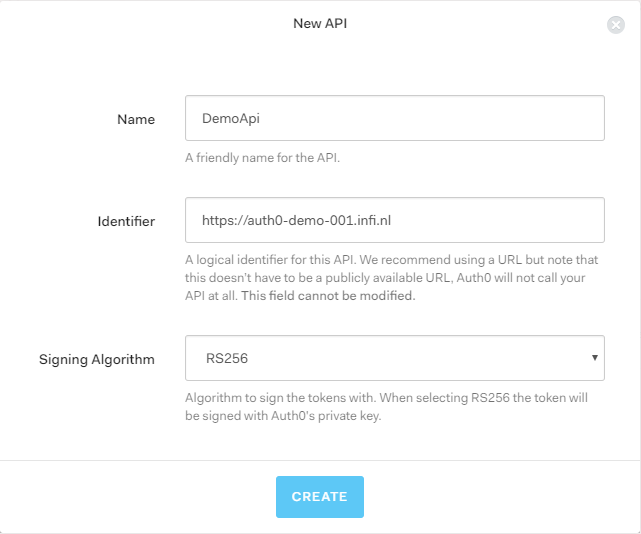 First things first, go sign up for Auth0. Note the "Client ID" (not the secret), you will need it later. Note the "Domain", you will need it later. Note the Identifier (a.k.a. "issuer"), you will need it later. You're all logged in and good to go! Security is hard. OAuth2 and OpenID Connect make things even more complex. 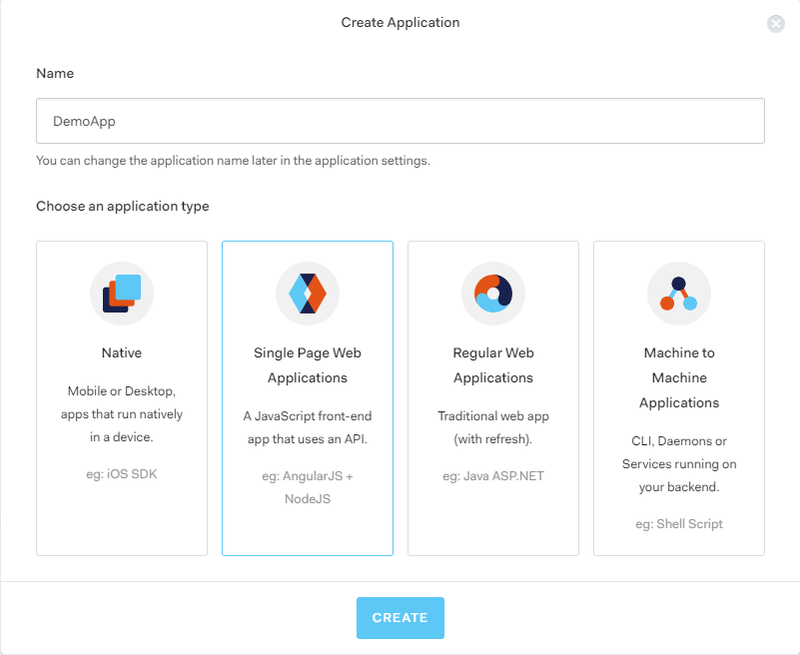 But we can bring the complexity back down a bit again by using existing components, as well as a SAAS solution like Auth0. 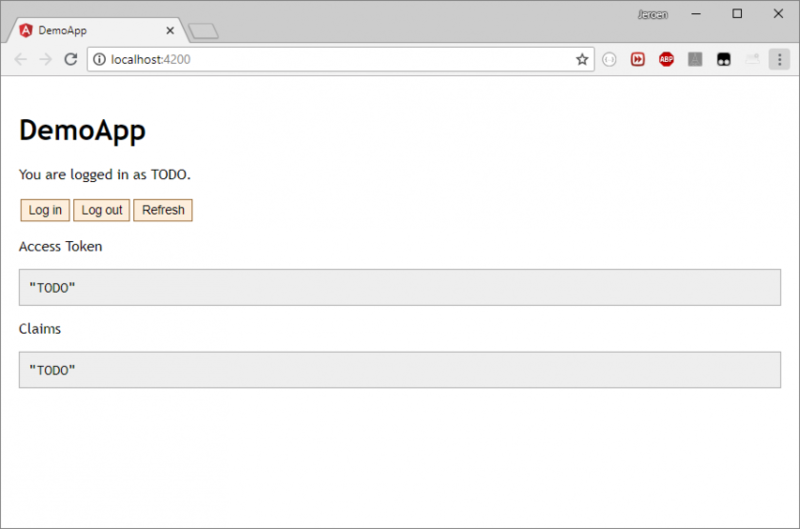 In these posts you've learned the very basics of setting up Angular and Auth0. We brought them together, ending with a simple but effective complete package. If you want to see how all these things work, you should go to this example repository. 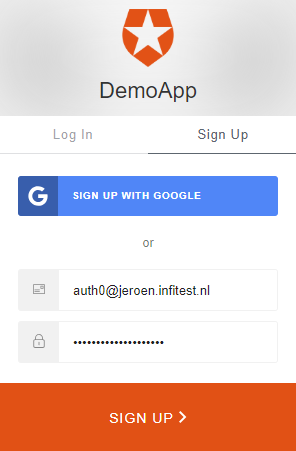 If you clone it and reconfigure it (change issuer and clientId, add customQueryParams), you should be able to "just" connect it to your own Auth0 account, and see how it works. Hopefully this post was helpful to you. It certainly was educational to write it.